After NRA Mocks Doctors, Physicians Reply: 'This Is Our Lane' "We are not anti-gun: we are anti-bullet holes in our patients," wrote one physician in response to the NRA. Another posted a photo of his own scrubs, bloody from trying to save a gunshot victim. Doctors have been tweeting about their experiences treating victims of gun violence after the NRA mocked a position paper by the American College of Physicians. "Someone should tell self-important anti-gun doctors to stay in their lane," the NRA tweeted on Thursday. "Half of the articles in Annals of Internal Medicine are pushing for gun control. Most upsetting, however, the medical community seems to have consulted NO ONE but themselves." The NRA was criticizing the American College of Physicians' new position paper, in which the physicians' group outlines its public health approach to reducing deaths and injuries from firearms. "We are not anti-gun: we are anti-bullet holes in our patients," Esther Choo, a doctor and professor of emergency medicine at Oregon Health & Science University, replied on Twitter. "Most upsetting, actually, is death and disability from gun violence that is unparalleled in the world." The NRA posted its tweet just hours before a man shot and killed 12 people at a country music bar in Thousand Oaks, Calif.
"I would like to graciously extend the invitation to the author of this tweet and anyone else from the NRA to join me at the hospital the next time I care for a child who has been hurt or killed by a gun that wasn't safely stored or was an innocent bystander," tweeted Jeannie Moorjani, a pediatric doctor in Orlando, Fla.
More physicians weighed in, often using the hashtag #ThisIsOurLane. "Do you have any idea how many bullets I pull out of corpses weekly? This isn't just my lane. It's my f****** highway," wrote forensic pathologist Judy Melinek, in a tweet that has gone viral. A trauma surgeon in Utah tweeted a photo of his blue scrubs covered in blood. "Can't post a patient photo," he wrote, "so this is a selfie. This is what it looks like to #stayinmylane." The NRA's criticism of the physicians' position paper hinges in part on research studies cited by the ACP. "The problem is that the ACP cites 'studies' that wouldn't qualify as 'evidence' in any other debate," the gun advocacy organization argued in an article posted at the NRA Institute for Legislative Action. "One cited study was focused on a single rural county in Iowa. Another was of 106 outpatients at a single clinic. The authors acknowledge evidence is limited but cite their own belief there is 'enough evidence' or simply argue the policy should be enacted anyway. Inconclusive evidence is not 'enough evidence.' Applying narrow findings to a larger population is not 'enough evidence.' "
The paper's co-author, ACP Senior Vice President of Governmental Affairs and Public Policy Robert Doherty, responded to the NRA's criticism in a series of tweets. "All of our recommendations are supported by a comprehensive review of research on the causes of gun violence, & policies that could reduce it. Where the evidence is limited, we said so," he wrote. "All of our recommendations were reviewed and approved by ACP physician-members who serve on our health policy committee, several of whom are gun owners." Doherty also noted that the paper calls for increased funding for research on gun violence. For years, the NRA has lobbied to prevent the Centers for Disease Control and Prevention from conducting research on gun violence. A spending bill passed in March of this year notes that the CDC has the authority to do research on the "causes" of gun violence. But it doesn't change the 1996 law that mandates "none of the funds made available for injury prevention and control at the Centers for Disease Control and Prevention (CDC) may be used to advocate or promote gun control." 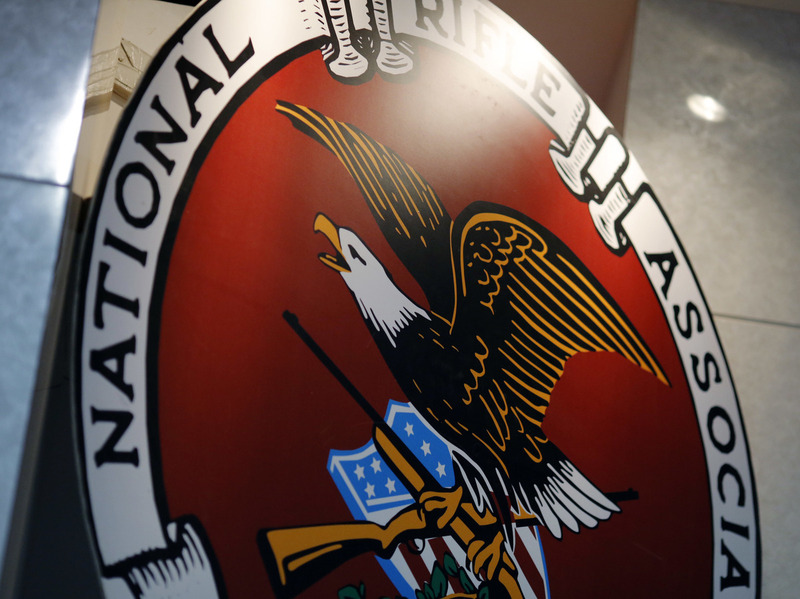 The rule has had a chilling effect on gun research in the U.S. ever since. Which makes the NRA's criticism about physicians not having adequate research particularly frustrating to doctors such as Melinek. "We aren't against the second amendment," she told The Guardian. "What we are against is not researching, not putting effort into researching, and not putting the funding into researching what can be used to prevent gun violence and death, whether it's trigger locks, security, training or the idea of requiring insurance and having people have insurance in case their gun is used to kill someone else. We need to have the research and we need to have the data to back it up, and right now that's not happening." "We need to do something, and telling doctors to stay in their own lane is not the way to do it," she told the newspaper. "We're the ones who have to deal with the consequences. We're the ones who have to testify in court about the wounds. We're the ones who have to talk to the family members. It breaks my heart, and it's just another day in America."